Popular and Longest Running Show of Star Plus’ popular and long-running show Yeh Rishta Kya Kehlata Hain is Getting Interested Day By Day with After Leap Professor-Student Tashan between Kartik (Mohsin Khan) and Naira (Shivangi Joshi). Last week, we have Seen How Naira Found out About Kartik’s Drinking also Shocked with why he has gotten addicted to it. There Kartik Found About an Old Injury In Naira’s Feet also She left Dancing for Forever He Also Get Shocked with this that She has Left Dancing because Doctor told her not to Dance. In Upcoming Episode, We will See Kartik Will Find about Naira’s injury and Will Blame Himself that He was Not with her that Time when She Needed him most. 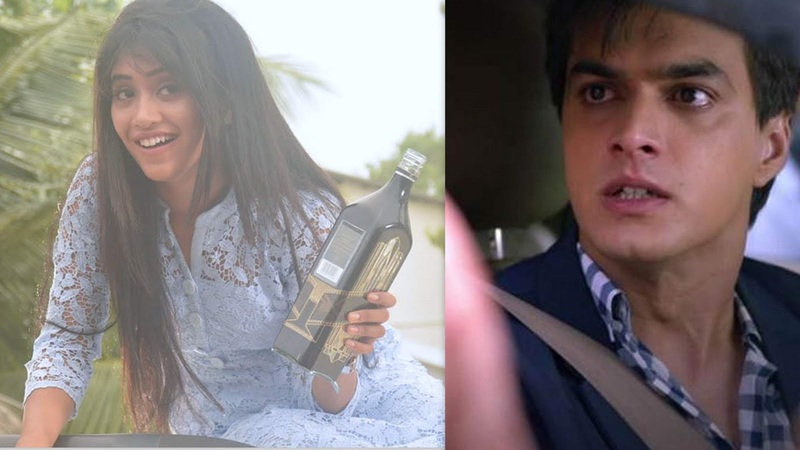 There Naira Will Teach A Lesson to Kartik By Acting Like Fully Drunk and This Will Be Funny Sequence. So Many People Will Surely Relate this Scene to Famous Scene From Super-hit Film Sholey where Veeru (Dharmendra ) Climbed to Water Tank and Acted Like Drunk for his Love.